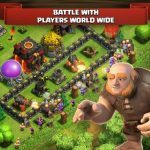 Right now, you probably know all there is to know about Supercell’s runaway hit Clash of Clans. It’s one of the world’s most popular mobile games and you can play it on both Android and iOS devices. 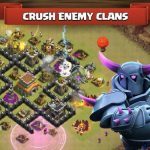 But just in case this is your first time to read about our Clash of Clans tips and tricks, here’s a very brief backgrounder – it’s a city-building type game that allows you to train your own army, build your own village, join other players’ Clans, and defeat rival Clans in “epic” Clan Wars. 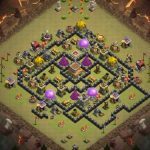 Now, that we’re through jogging your memory or giving you a brief description of the game, let’s move on to some defensive tips for Clash of Clans. 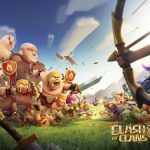 Cannons are among the most basic weapons you’ll have at your disposal in Clash of Clans, and they’re the first you’ll have to build in the game. They’re affordable and easy to upgrade, and are very underrated defensive weapons due to their rate of fire and range. Keeping that in mind, keep your fort defended by as many cannons as possible. Some structures, e.g. your Wizard Tower, would need to be defended more so than others. As the name implies, the Hidden Tesla can’t be seen by your foes until they’re near it, or when strength is at 51 percent or higher. This tower gets unlocked once your Town Hall is at Level 7, and it’s equally effective against ground and air units. Make sure you have one Hidden Tesla within your walls. As for the Archer Tower, it too can work equally well against ground and air units, and it has quite a long range. Place these towers outside your village and preferably near your other defensive units. 3. How Do You Use The X-Bow And Mortar? The X-Bow, for starters, is not to be confused with a crossbow – it’s a turret that mainly fires at ground units at long range, but one that has to be loaded with Elixir before you can use it. Place your X-Bows near storage buildings and the Town Hall. Mortars, on the other hand, are considered heavy defense weapons due to their high rate of damage and ability to fire off every five seconds. They cannot, however, take down air units. Mortars are best placed around the center of your base, with a few located behind certain walls. Regardless of the trap you want to use, you should place them near your walls and upgrade them like you would your other defensive structures. Wizard Towers cast spells and deal splash damage against air and ground units. Have some located around your Town Hall, and complement them with Mortars to defend these defensive units. This final tip is probably the most common sense-type tip and we believe we’ve told you this before. But just in case you’re with us for the first time, we’ll repeat it again – do not leave any gaps in your walls, as you don’t want ground units to leisurely sneak through the gaps and penetrate your defenses.